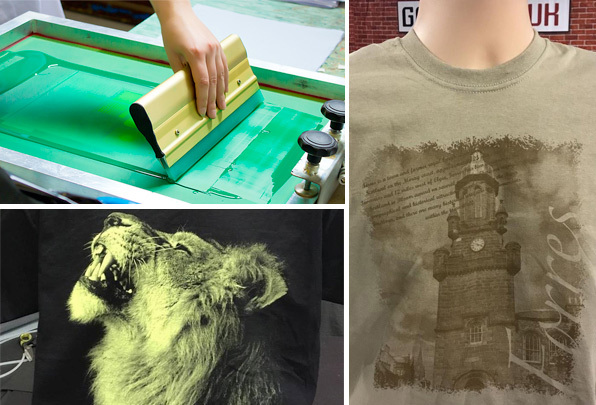 What is Screen Printing and what is it used for? Screen Printing is a printing technique whereby a mesh (screen) is used to transfer ink onto a garment. The mesh acts like a stencil and ink will only permeate where the stencil allows. This technique can be used to personalise a number of different types of garment such as Hoodies, T-Shirts and Tote Bags. It is a technique more suited to orders of around 30 items or more so orders like Leavers Hoodies or promotional items are well suited to this technique. Advantages of Screen Printing and what you need to know? This print technique gives a fantastic result similar to fashion apparel for its look and feel. It is great for items such as Leavers Hoodies because it becomes a cost effective print method. At Loopy Parrot the Screen Printing set up costs are incorporated into the overall cost therefore it works out very good value for orders around 30 items or over. If you want to discuss Screen Printing options please contact us.